Consumer interest in green real estate is on the rise. A recent survey revealed that 72% of Canadians have expressed they would look for a greener home in their next purchase; and 28% have said that they are more concerned with “green” issues now, than they were a year ago. Today, going green goes well beyond installing energy efficient appliances and swapping out incandescent light bulbs for compact fluorescents. With luxury condos touting eco-friendly features like rain water recycling, and construction companies incorporating energy saving features into new homes, it's no wonder Okanagan real estate professionals have expressed that more and more potential homebuyers are asking about "green homes." We are becoming more aware of environmental issues like fossil fuel emissions and global warming, but applying this knowledge to the process of building or buying a green home can leave many of us feeling frazzled. What do you look for in green home? Which systems are most cost-efficient? Which installments will appeal most to eco-conscious homebuyers? 1.) Windows Facing South. In many neighborhoods, owning a home on the north side of the street has always been more desirable than ones on the south side. South-facing windows provide more natural daylight making a home more bright and cheery. But, more importantly, natural daylight can help keep the indoor climate comfortable during the winter months, allowing a homeowner to set the thermostat a bit lower. Alternatively, drawing shades during key daylight hours during the summer can help cut down on air conditioning needs. This is an important tip to remember for anyone living in Kelowna and throughout the Okanagan. Also, if you’re building or renovating, be sure to install ENERGY STAR [R] windows. You will be exempt from paying GST! 2.) Use Renewable Flooring Materials. While hardwood has been the flooring of choice for the past several years, bamboo floors are much more eco-friendly because of how quickly it grows and how easily it can be replaced. In the kitchen, linoleum floors, made from solidified linseed oil, wood flour or cork dust over a burlap or canvas backing, is very eco-friendly compared to modern floor coverings made from polyvinyl chloride. 3.) 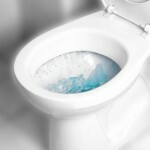 Lo ok for Energy Efficient Toilets Don't flush your money away! Consider replacing existing commodes with low-flow toilets that use about 20 percent less water per flush, or with dual-flush toilets that have two buttons to give homeowners the choice of flushing with a half or full tank. The cost for these low flush toilets starts around $100. It’s a wise and simple investment 4.) Drain Water Heat Recovery System. Here in the Okanagan, it’s difficult to find a heat recovery unit in a home that’s already built; however, it’s a feature you should most definitely consider adding to a home under construction in Kelowna or anywhere in the Okanagan. When water goes down the drain, about 90% of the energy used to heat it can go right in the sewer. When a drain water heat recovery system is installed, it recycles this lost energy to reheat new cold water. By implementing this recycling method, you can save anywhere from 10% to 30% of your water heating cost, depending on the unit you choose to install and your amount of water use. This is a relatively low maintenance system and you can get $75 from the EcoEnergy Retrofit Federal Program if you install one of these units. The cost can run anywhere from approx. $600 to $1,000. There are now new, improved water heaters available here in the Okanagan. The one we most frequently hear about is Water-on-Demand. These units are much smaller than a hot water tank and they heat the water as it is being used, rather than paying to have a conventional tank constantly heated. By reducing your stand-by energy costs, you will see savings anywhere up to 30%. Product costs are typically between $1,000-$2,000. If this is out of your budget, you should consider a more conventional route and purchase a condensing hot water heater. Its cost is approximate $500. 5.) High Efficient Water Heaters. There are now new, improved water heaters available here in the Okanagan. The one we most frequently hear about is Water-on-Demand. These units are much smaller than a hot water tank and they heat the water as it is being used, rather than paying to have a conventional tank constantly heated. By reducing your stand-by energy costs, you will see savings anywhere up to 30%. Product costs are typically between $1,000-$2,000. If this is out of your budget, you should consider a more conventional route and purchase a condensing hot water heater. Its cost is approximately $500. 6.) Solar Heat The Pool. To cope with the hot Okanagan summers in Kelowna, you may be considering a pool. The problem that many homebuyers face is the high costs of operating this amenity. Over a 15-year period, you could spend five times or more on heating your pool with gas than what you would spend on installing a solar heater today. Once your solar system is installed there are no more heating bills to pay. Your approximate cost to install a solar system could be somewhere between $3100-$5000. 7.) Green Gardening Sustainable landscaping is becoming all the rage to eco-conscious Kelowna and Okanagan homeowners. Strategically planting native plants, vegetation and shade trees around a home can keep a house cool during the summer and block cold winds during the winter. Native vegetation will thrive in its preferred environment and not require excess water. In the Okanagan, landscapers refer to this method as Xeriscaping. Given our arid summers in Kelowna, drought resistant plants like grasses and shrubs are often used in a beautiful rock garden. This type of landscaping will help you lower your watering costs, yet still maintain your home’s curb appeal and privacy. In regards to outdoor parking and lounge space, concrete driveways and patios can be replaced with permeable paving materials that will allow water to pass through to the ground, thereby reducing runoff that can create soil erosion and flooding of the municipal sewer systems. 8.) Grey Water System. Grey water is any household wastewater, with the exception of the water you flush down the toilet. Most of this grey water comes from your sinks, dishwasher, washing machine, tubs, and showers. If reused immediately after disposal, you could reuse it to water ornamental plants and fruit trees in your yard; however, if collected and stored, you will require a treatment system, as grey water quickly begins to smell and becomes a breeding ground for micro-organisms left behind from the soap, grease, dirt and hair. If a treatment system is installed one can expect 30-40% savings off your annual water cost. This is a great idea when considering the world is expected to face a water shortage by 2020. Did you know that Canada is the second biggest water consumer behind the United States? 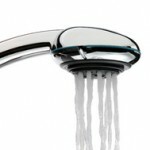 If you are thinking about installing a treatment system, expect to spend approximately $1800 to $3000 on the equipment. The use of renewable energy in a home, such as solar, wind, water or geothermal, helps greatly reduce pollution. However, installing solar panels or wind generators can be enormously expensive. These days, utility companies and the Federal and Provincial government are offering homeowners a rebate or financial incentive to purchasing a form of renewable energy that does not cost much more than conventional energy. In the Okanagan, and more specifically Kelowna, you often hear the request for a geothermal heating and cooling system. Due to our mountainous terrain, having this eco-friendly system installed is unfortunately, not available to everyone. The opportunity depends on the location and complexity of installation. In some cases, large luxury homes are still installing more conventional systems, like central air, natural gas, because the cost to install a geothermal system is double the cost of using multiple furnaces to heat the home. Nonetheless, with the cost of fossil fuels continuing to rise, over the long term, the cost to maintain and operate a geothermal system will be more affordable. If you are purchasing in a neighborhood where several homes have geothermal loops, you may also have the chance to enjoy this feature at a lower cost. 10.) Air or Ground Source Heat Pump If you do not have the means to implement solar, wind or geothermal operating systems, a more conventional, yet still energy efficient equipment is a heat pump. This equipment could save you up to 65% of your costs to heat and cool your home. An air source heat pump is an electric device that sits outside your home and absorbs heat from the outdoor air during the Okanagan winters, and removes heat from inside your home in the summer. A ground source heat pump captures solar energy stored in the ground and distributes heat inside the home during the winters and replaces it in the summer. There are some excellent loan and rebate programs available for installing a heat pump. Be sure to visit our links below.